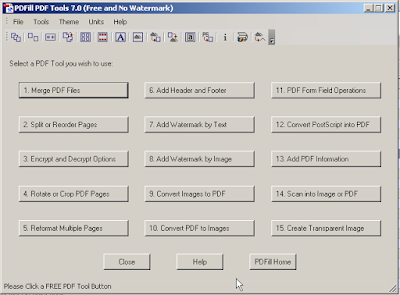 PDFill is a free PDF printer tool that comes equipped with a whole set of free tools for PDF file manipulation. If you need to split a PDF file or use any of the options below, grab yourself a copy if you don't already have one. It is also my PDF printer of choice or a tool to convert various documents to PDF format.